BlueGreen Alliance Offers "Platform on Industrial Energy Efficiency"
As we've discussed previously, energy efficiency offers tremendous potential to slash energy waste, save consumers enormous amounts of money (Amory Lovins of the Rocky Mountain Institute has estimated that by 2050, energy efficiency measures could save the U.S. economy upwards of half a trillion dollars) and cut pollution. Despite all these advantages, energy efficiency's potential remains underutilized. Part of the reason for this is that, as Matthew Wald of the New York Times explained to us, it costs money - and time and effort - to save money via energy efficiency improvements. Part of it may be a matter of better communication, as Jennifer Layke has suggested. And part of it is clearly a matter of enacting government policies that discourage waste and encourage energy efficiency. This is outrageous, but sadly not surprising. 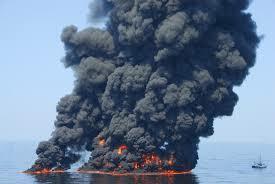 You know how oil companies always like to reassure us that their operations are safe, only to experience a spill or other disaster that proves them wrong? Right, because it happens all the time. So why should we now believe TransCanada when it claims its proposed Keystone XL tar sands pipeline will be "constructed and operated to the highest industry standards," and that "[s]afety of the public and the environment is a top priority for TransCanada?" Of course, we shouldn't take their word for it, and articles like this one should make us even more leery. 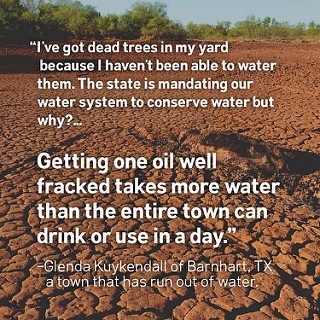 Fracked Oil but No Water? Does This Sound Like a Good Idea to You? Among the many problems associated with hydraulic fracturing ("fracking") for oil and gas - methane leakage, water contamination, etc. - there's another problem that's bordering on existential - running out of water completely. NY Times Touts "A Clean-Car Boom"